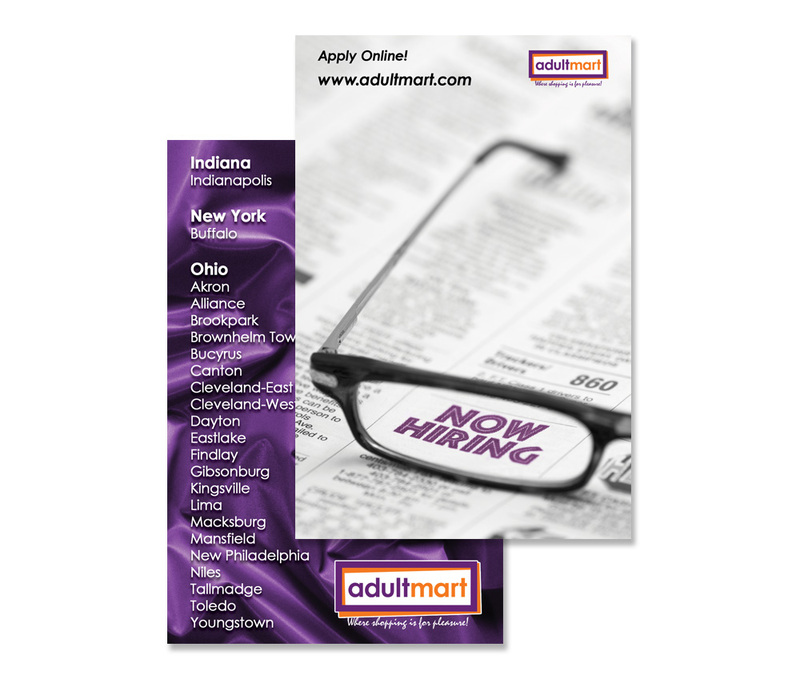 Adultmart wanted a post card to advertise their need for new employees at any location. On the front of the card is an altered stock photo that draws attention to the message. The back of the card is a list of Adultmart store locations.